On Monday, the Electoral Reform Society said what most voters had been saying for some time, they criticised the UK’s First-Past-the-Post (FPTP) electoral system as "archaic" and "divisive." They said it produced the "most disproportionate [result] in British history." But what are the alternatives?. The problem is clear, our system does not reflect the will of the electorate. FPTP may have worked when we had a simple two-party system, but that isn’t the case anymore. More people are voting for smaller parties and the UK is quickly moving towards a multi-party system. 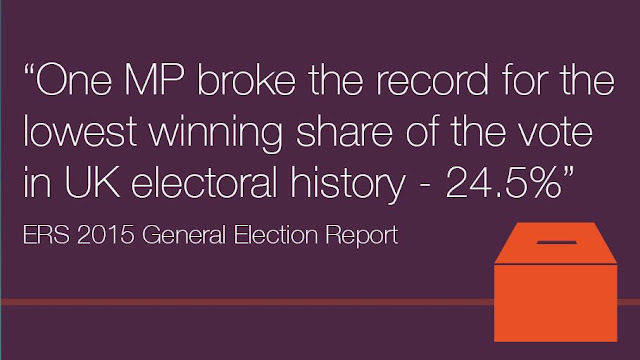 In the election, UKIP and the Greens received over 5 million votes but received only one MP each, and the Liberal Democrats earned just 8 MPs for its 2.4 million votes. The problem is apparent the other way as well, with the SNP getting 50% of the vote in Scotland, but 95% of the seats leaving the other 50% represented by just 3 MPs, and, of course, the Tories winning an absolute majority with only 37% of the national vote. In the Scottish, Welsh and Northern Ireland parliaments as well as in Scottish local elections, a more proportional system is used. “Why can't we just use one of their systems?” I hear you cry. We don't need to, we already have an electoral system designed specifically for use in Westminster elections. "We are committed to a referendum on the voting system for the House of Commons. An independent commission on voting systems will be appointed early to recommend a proportional alternative to the first-past-the-post system." When Tony Blair arrived in Downing Street sitting on a 179 seat majority electoral reform seemed to be the off the table, however a commission on a new voting system was organised - led by Lib Dem peer Roy Jenkins. The commission was told they need to consider four requirements - broad proportionality, the need for stable government, an extension of voter choice and maintaining the link between MPs and geographical constituencies. When the commission reported, they had devised a completely new electoral system - something they called the Alternative Vote Plus (AV+). In AV+, MPs would be elected in constituencies by the Alternative Vote (where voters rank the candidates in order of preference), then they would be "topped up" with members from a regional list - ensuring proportionality. This would prevent places like Scotland being represented almost entirely by one party at the constituency level, despite many people voting for others. Jenkins ruled out the Single Transferable Vote (STV) system (with multi-member seats rather than single member), saying that it would require massive constituencies of nearly 350,000 - requiring a massive overhaul of the political system. The commission argued that AV+ would ensure proportionality while keeping the system relatively unchanged. What Happened? Well, that's simple, Labour's majority meant that reform was no longer a priority so the referendum never took place. The Electoral Reform Society advocates STV in their report (which can be read here), dismissing AV+ as an irrelevant system. 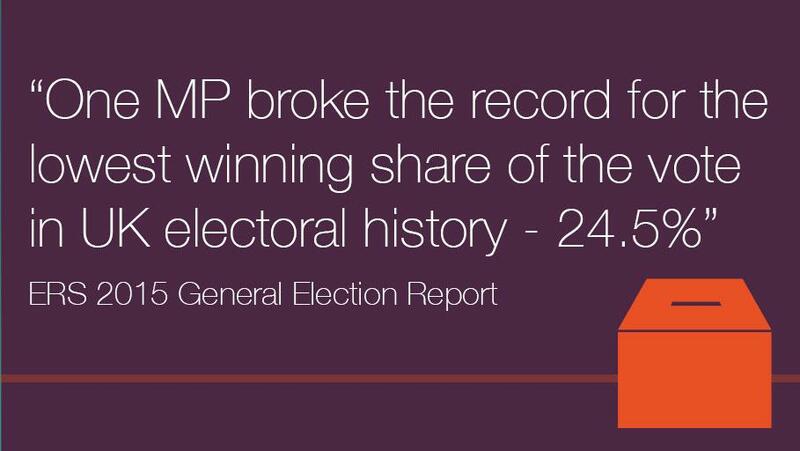 However that is a mistake, instead of arguing about what electoral system we should use - all the government needs to do is pick up the Jenkins's report and put that to the vote. It would satisfy every party's call for proportionality - replacing the "archaic" and "divisive" FPTP system with something far better. Let me know what you think by commenting below or tweeting me, and make sure you vote in the poll below. Should the UK use AV+ at Westminster elections?